After three long months with Hearthstone’s dungeon-crawling Kobolds and Catacombs set, Blizzard has just announced a new expansion. 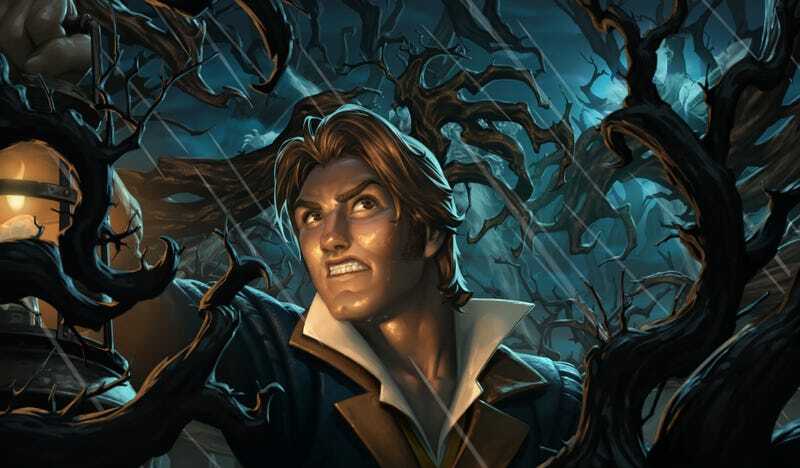 Dubbed The Witchwood, the upcoming release brings new card mechanics, a major shakeup to the competitive card pool, and a fresh single-player adventure mode–all set against a gothic horror backdrop. First and foremost, fans of Kobolds and Catacombs’ single-player roguelike “Dungeon Run” mode will be pleased to hear that there’s a new solo adventure coming to The Witchwood called “Monster Hunt” that sounds pretty similar. With eight bosses and unique hero characters to play as, it looks like it may be even more specifically-tuned for solo play–although there’s no word as to whether or not it’ll still be free. So far, six of the upcoming 135 cards have been revealed, and most of them bring new mechanics that the game hasn’t seen before. Two Legendary cards, Genn Greymane and Baku the Mooneater, grant powerful effects at the start of the game–provided you build your deck to include only cards with odd or even mana-cost cards. Another legendary card, Azalina Soulthief, replaces the player’s hand with a copy of the opponent’s. It seems costly for a card with just 3 attack and 3 health, but might have some interesting late-game uses against decks that keep a large hand size. A new Warrior card called Militia Commander introduces a new “Rush” mechanic, which allows the player to hit enemy minions on the same turn it’s played. Phantom Militia brings a new “Echo” keyword, meaning that the card can be played multiple times on the same turn. Don’t forget: once The Witchwood finally drops, the year of the Raven will officially start, and cards from Whispers of the Old Gods, One Night in Karazhan, and the Mean Streets of Gadgetzan sets will no longer be available for use in Standard play. In the meantime, make sure you’re getting the most out of those Jade cards while they’re still usable. The Witchwood is now available for pre-purchase. This time around, 50 bucks will get you 70 card packs, instead of the usual 50.